The first daughter will take a gap year and attend Harvard University in the fall of 2017. Malia Obama is headed to Harvard University to further her education, but she’s taking some time off first. 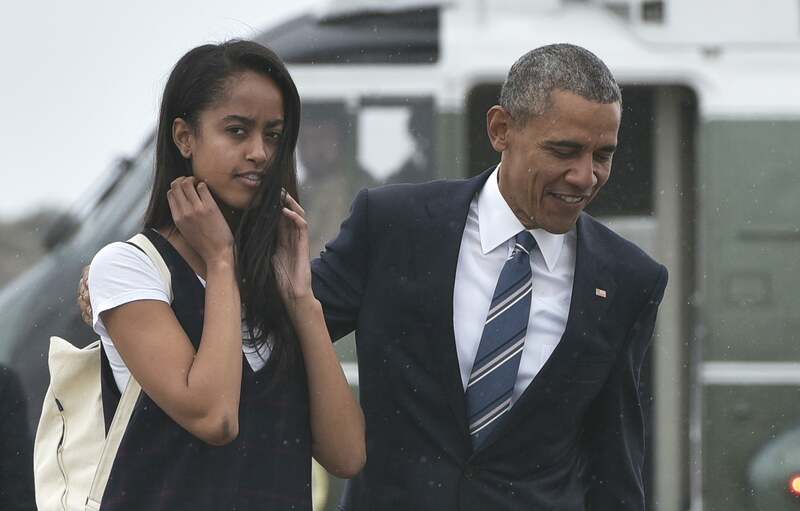 The eldest daughter of President Obama, Malia is currently a senior at the prestigious Sidwell Friends School in Washington, DC and is set to graduate in June just before her 18th birthday in July. Instead of heading off to college right away this fall, Malia will take a year off and start her next educational phase in the fall of 2017. The White House confirmed on Sunday that the teen will wait until her father leaves office to begin her college education. Malia’s decision comes on the heels of heavy speculation from the public, as she spent much of last year visiting several Ivy League universities to determine where she would spend her college years. Her decision to attend Harvard seems fitting, given that both President Obama and First Lady Michelle Obama attended law school at the coveted institution. Malia joins a long list of children of former presidents who attended Harvard and is also one of only 5.2 percent of applicants to be accepted to the university this year. We look forward to great things in store for Malia as she and The Obama Family prepare for this exciting new chapter in her life.